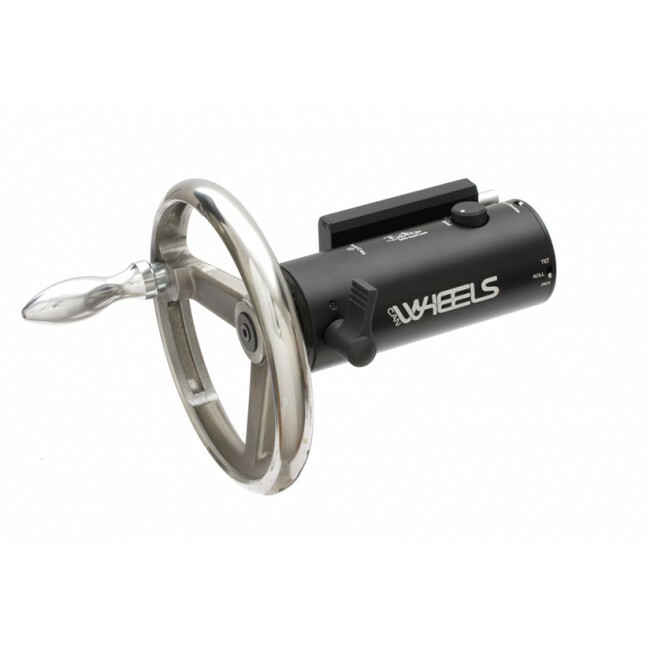 CAN Wheels Super compact Handwheel remote unit wire or wireless for use as Pan - Tilt - Rollaxis control on Gimbals or Remoteheads. 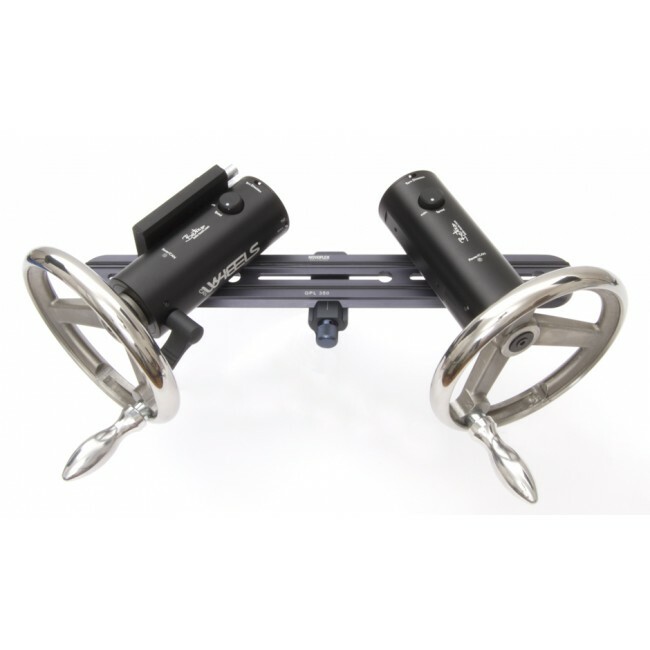 For use on stabilized Gimbals like Maxima SMX30 / MX30, Dj Ronin, Mövi etc. 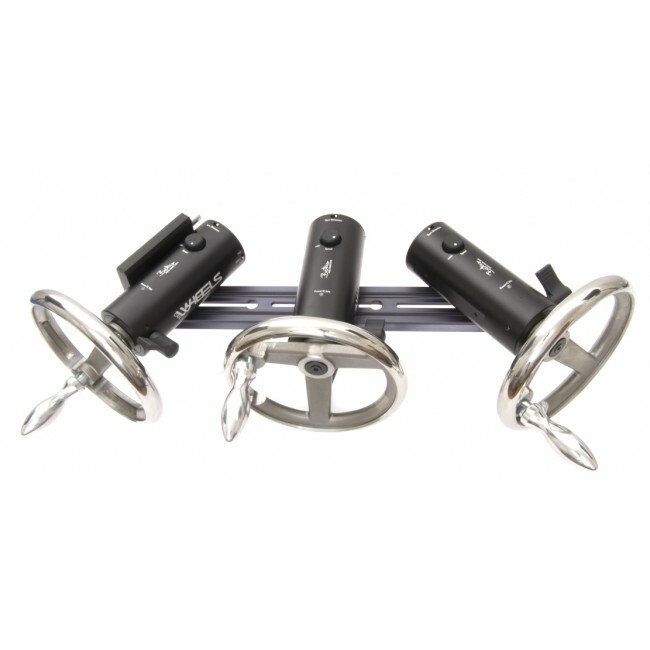 or Remote Heads. 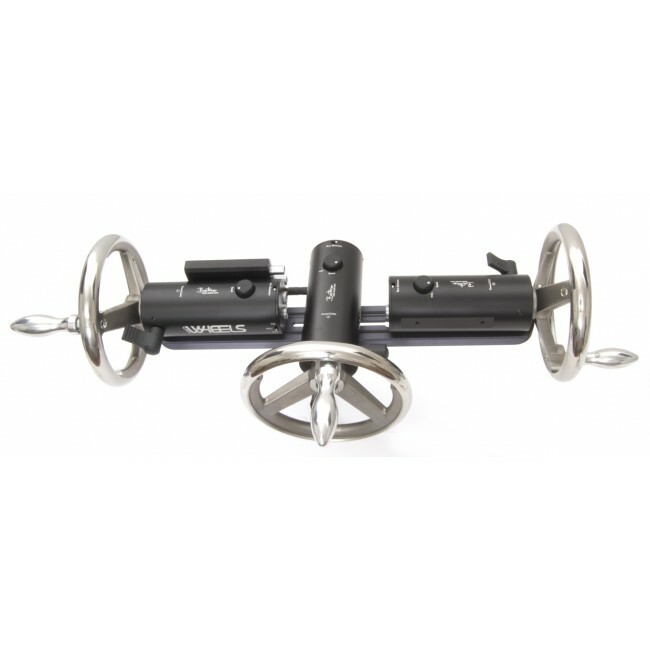 The handwheel units can be mounted in any position and angle to each other thanks to their modularity as well as on any subsurface like tables, boxes, tripods etc. via 3/8" or 1/4" screw. It is possible to control nearly any Gimbal or Remotehead via the interface unit Schnitte HF wire or wireless. (400Mhz / 800Mhz / 900Mhz / 2.4Ghz). Customized adaption onto various devices is possible. Only the pin outs and protocols of the bus are required. Thanks to Matthias Uhlig Camera Obscura Media for the basic Idea and the assignment for beneficial use.